Camelback Women’s Health focuses on providing the highest quality care for women in our community. Our doctors are committed to making a difference in our patient’s health. They are board-certified M.D.’s and on staff at University Banner (formerly Good Samaritan) Medical Center & HonorHealth Scottsdale-Shea. Originally from Rochester, Minnesota, Dr. DeSanto attended the College of St. Thomas in St. Paul, Minnesota, graduating in 1980. He went on to medical school at the University of Minnesota and later completed an Internal Medicine internship in Tucson, where he came to the decision that he eventually would return to Arizona to live and practice. He switched specialty training in 1986 and completed his Ob/Gyn residency at UCLA/Cedars-Sinai Medical Center in 1990 in Beverly Hills, California. He has special interests in high-risk obstetrics, ultrasound, and endoscopic surgery. He has three children, Hannah, Ryan and Julienne. He is board certified by the American Board of Obstetrics and Gynecology. Calm, quiet, reserved, funny, strong, caring, efficient, and professional. Playing hockey, golfing, hiking, and being a family man. A fifth generation Arizonan, born and raised in Yuma, Arizona, Dr. Nelson attended Brigham Young University before beginning his medical studies at Oxford University in England. He completed his medical studies at the University of Utah, then began his training in Ob/Gyn at the University of Louisville, completing his studies at UCLA/Cedars-Sinai Medical Center in Beverly Hills, California. He graduated from Stanford Law School before coming to Phoenix in 1989. Dr. Nelson’s special interests are complex laparoscopic surgery and female incontinence. He and his wife Jane have 4 children- Aaron, Julie, Emily, and Anne. He is also a proud grandfather to 5 beautiful grandchildren…and counting!!! He is board certified by the American Board of Obstetrics and Gynecology and is a member of the Arizona Bar. Dr. Nelson is fluent in Spanish. Spending time with family, church, swimming, running, and reading. 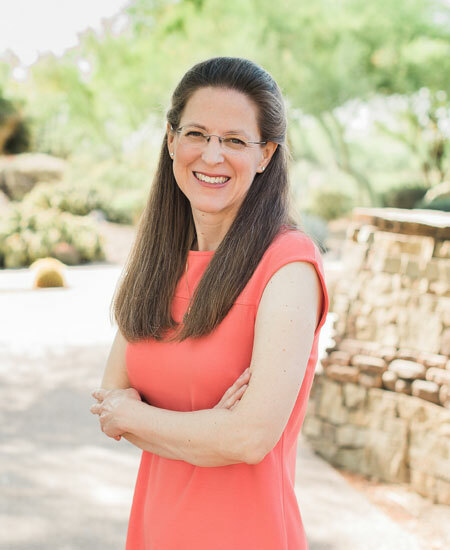 Born and raised in Phoenix, Dr. O’Sullivan attended Arcadia High School before continuing her education at the University of California-Irvine. She received her medical degree from the Medical College of Pennsylvania before moving to Houston to complete her Ob/Gyn residency at the University of Texas. Finally she has returned home to her family and friends to practice in Arizona. Dr. O’Sullivan’s interest include high risk obstetrics, pelvic relaxation & laparoscopic surgery and caring for Spanish speaking patients. She is board certified by the American Board of Obstetrics and Gynecology. She loves her dogs, Seamus, Sam, and Max. She works tirelessly finding forever homes for shelter dogs being an active volunteer with AZ Dog Adoptions. Confident, direct, fun, organized, clever, keen, and talkative. Skiing, hanging out with my friends, rescuing shelter dogs, and independent films. Born and raised in the snowbelt of western New York, Dr. Schwartz has been migrating toward warmer climates since finishing high school. She graduated from the College of William and Mary in Williamsburg, Virginia with a bachelor of science degree in chemistry. Nashville, Tennessee was then home for seven years. 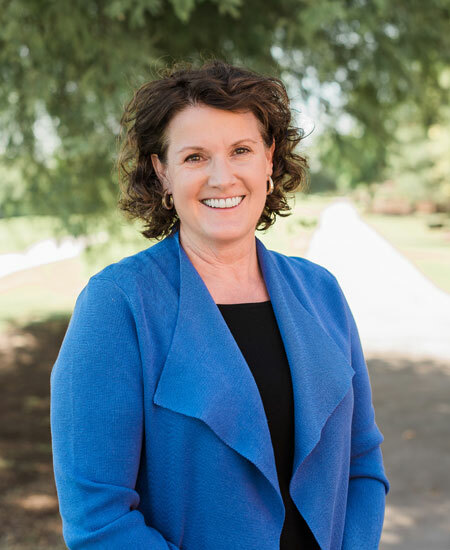 After graduation from Vanderbilt University School of Medicine in 1987, her interest in gynecologic pathology led her to complete a residency in anatomic pathology at the Vanderbilt University Medical Center. Dr. Schwartz then returned to clinical practice and completed her Ob/Gyn training in June 1994 at the University of Florida in Gainsville. Dr Schwartz has special interests in high risk obstetrics, laparoscopic surgery and gynecologic pathology. Dr. Schwartz has a son, Sean, and daughters, Ellen and Louise. She is board certified by the American Board of Pathology and the American Board of Obstetrics and Gynecology. Energetic, meticulous, vibrant, popular, compulsive, conscientious, and a good listener. Dr. Faber is from Dubuque, Iowa and is very proud of her Iowa roots. Her education and training has taken her all over the country. She first headed west and graduated from Stanford University with a undergraduate degree in Human Biology and then returned to Iowa where she earned her MD degree from the University of Iowa College of Medicine. She then headed south completing her residency in Obstetrics and Gynecology at the University of Florida in Gainesville (at the same time as Dr. Schwartz). For her fellowship in Reproductive Endocrinology and Infertility, she went north to the Jones Institute for Reproductive Medicine in Norfolk, Virginia. Lastly, she headed to the southwest and moved to the Valley where she practiced reproductive endocrinology and infertility at Arizona Reproductive Medicine Specialists for sixteen years. Dr. Faber is board certified in Obstetrics and Gynecology with subspecialty certification in Reproductive Endocrinology and Infertility. She is a Fellow of the American College of Obstetrics and Gynecology and an Active Member of the American Society of Reproductive Medicine, and the Society of Reproductive Endocrinology and infertility. She has been selected multiple times as a Phoenix Magazine “Top Doc in Infertility”. She and her husband, Tom, are blessed with two children, Jacqueline and Jacob. Compassionate, joyful, dedicated, honest, humorous, efficient, succinct, and direct. Spending time with family and her dog, playing the piano and cooking. I wanted to practice medicine because…. “Growing up, I saw the satisfaction the practice of medicine gave to my father who was a very respected and successful general surgeon. He took great pride in the excellent care he gave his patients. He often said that it was a privilege to be a physician. I always knew I would follow in his footsteps. I chose to subspecialize in reproductive endocrinology and infertility because it is a wonderful feeling to help make someone’s dream of having a family come true.